Low voltage electrical installation for a new pipe manufacturing facility. The scope of work included the installation of the complete network, closed circuit television with security cameras, wireless access points and structured cabling. Installation of CCTV network for an ethane cracking plant. Over 80 cameras were installed along the perimeter fence line. Structured cabling installation, network, phone and paging systems, interactive monitors, Video on Demand, security access control and sound systems. Installation of projectors, network equipment, wireless, sound systems and Video on Demand. 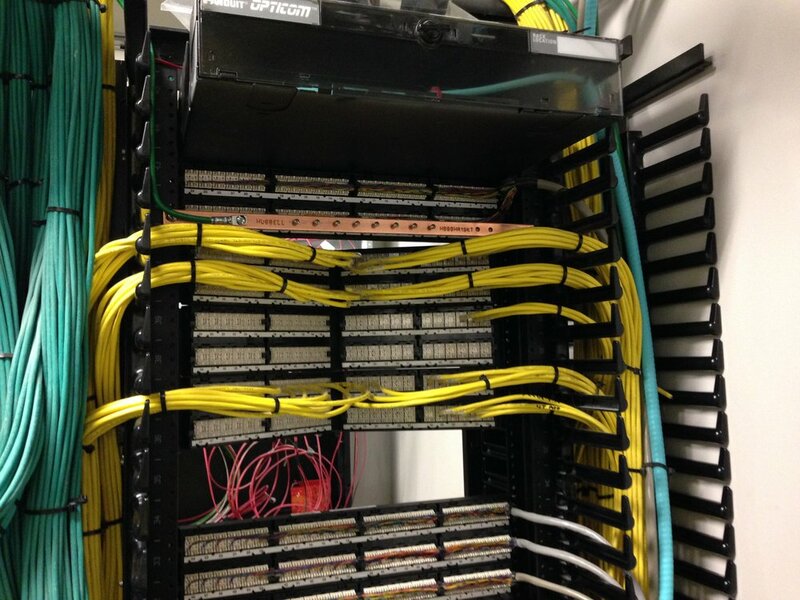 Installed all structured cabling, fiber and security cameras for the gaming facility and racetrack. Also installed the gaming facility sound system, projectors and television screens. Installed security cameras at various locations around Courthouse Square in the downtown business district. Installation of nurse call and paging systems for new construction of a hospital. Installation of projectors, sound systems, wireless access points, televisions and Video on Demand.